How can activated charcoal (aka activated carbon) help me? 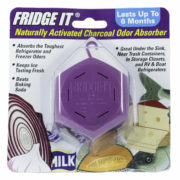 Innofresh first applied activated carbon technology to the consumer marketplace with our FRIDGE-IT odor absorber – an advanced fragrance free odor eliminator in a popular “Cube” shape – for use in refrigerators and freezers. Since we’ve introduced Fridge-It®, this product has become recognized as a superior odor absorber for applications throughout the home including refrigerator and freezer, but also, under sink, near trash, closets, storage, garage, diaper pail, cabinets and other many other problem areas. 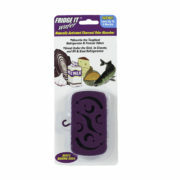 The fridge-IT cube and Fridge-IT wafer are also great ways to fight back against cigarette smoke, musty basements, old books, stale bedrooms, and tough cooking smells. 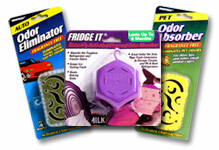 Since then, under the Innofresh brand, we have continued our mission of exploring safe and effective activated charcoal alternatives to other fragranced spray, powder, gel and oil products with our extended line of consumer air freshener solutions for a variety of other specialized areas such as cat litter boxes and small animal cages again utilizing safe, natural and highly effective activated carbon with our Innofresh PET odor absorber. 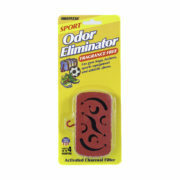 We have products designed to help odors related to sports, gym bags, and sneakers. Drop an Innofresh SPORT and SHOE odor absorber into your locker or gym bag and prepared to be amazed at the difference. 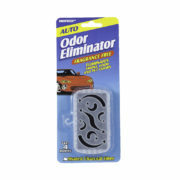 To address problem odors in the automotive area including odors in cars and trucks from cigarette smoke, pet odors and food spills, our Innofresh AUTO odor eliminator is available in a convenient clip on and hanging format. Unlike many other overpowering fragrances in gels and oils, our technology actually encapsulates fragrances into a convenient plastic clip on case that delivers a light and consistent fresh and clean scent. 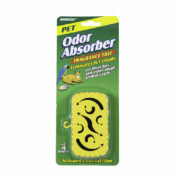 We proudly offer our extended line of household, footwear & sport odor absorbers as well as, pet and automotive odor absorbers for the retail, commercial and industrial markets including a variety of branded and private label products and packaging options. For more information about our private label activated charcoal odor absorbers and commercial applications, please contact us.